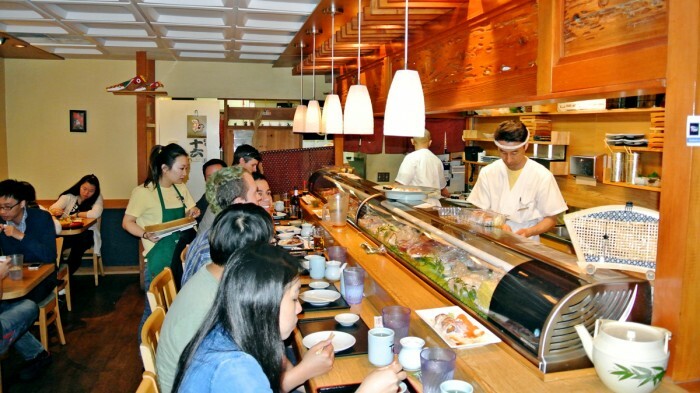 There are tons of sushi joints in Silicon Valley, especially in Mountain View. A lot of these places are pretty mediocre, but one stands above the rest with its vastly superior fish quality. 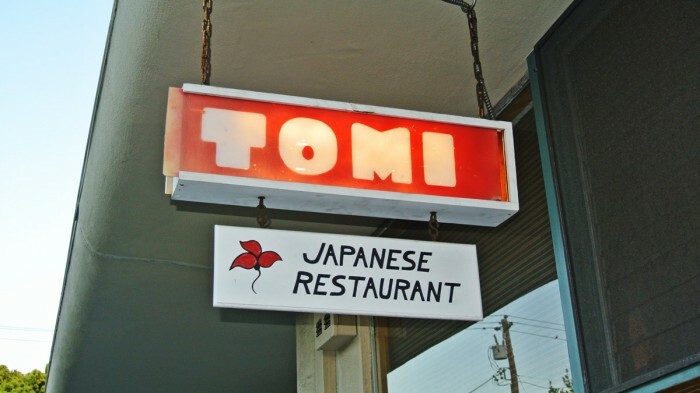 This place is Sushi Tomi. As you’d probably suspect with a place of this caliber, the word is out. So any night you try to stop by, you will inevitably need to contend with a line out the door. It’s worth it. You may have noticed that I normally don’t ever wait in lines for food, but this evening we waited a very reasonable twenty minutes for a table for three and were treated to some amazing high quality fish for our patience. The key at Sushi Tomi is to utilize the little secondary menu provided with the word Omakase written across the top. Just let the chef pick your sushi pieces so that you can sit back and enjoy the experience and incredible, fresh, raw seafood. 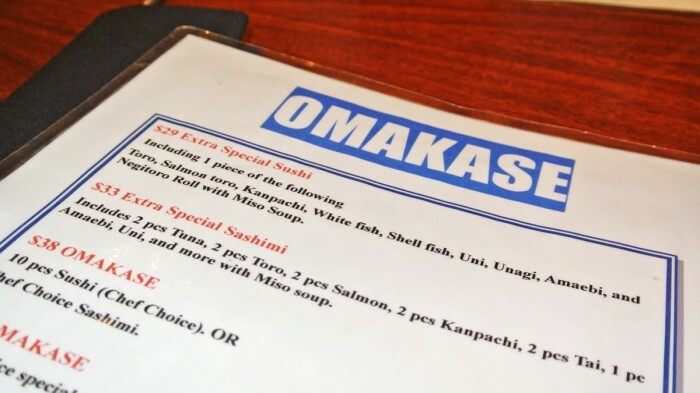 There are actually a couple of options on that Omakase menu which range in portion size, fish rarity, and price so just pick whichever one suits your mood, they’re all good. On this visit, I opted for the Extra Special Sushi platter which was considered mid-range in terms of price and rarity. Each of these platters automatically comes with a bowl of miso soup and once again I’ve found another Asian place in California that serves miso soup with no spoon. What’s up with that California? 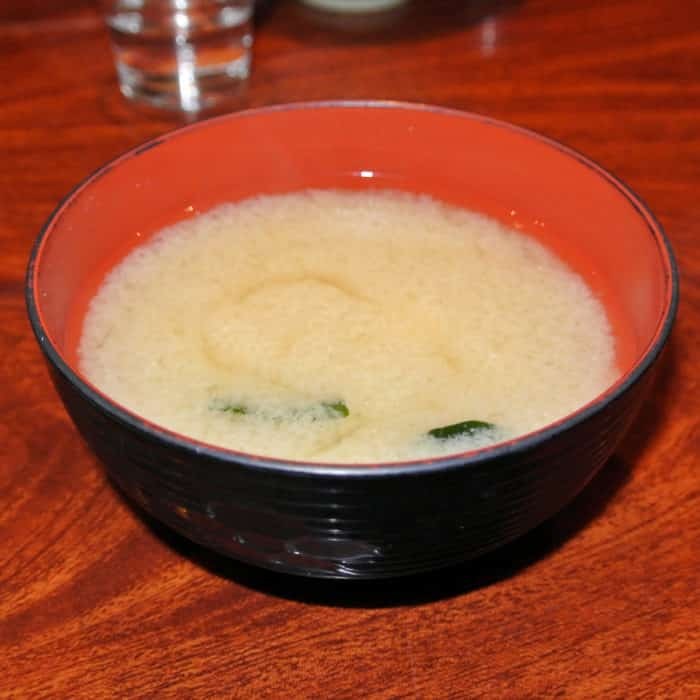 Anyway, it was quite a good miso soup with a deep, umami-rich flavor and some of the highest quality tofu I’ve ever had in miso soup. This was a great dish to kick off the meal. After the soup, we moved onto our omakase main courses. As soon as my plate was dropped in front of me, I excitedly dove into that beautiful fish. My platter included eight sushi pieces, a maki roll, and an extra special surprise that arrived later. The miraculously buttery salmon belly and tuna belly were platter highlights as well as the the simply incredible freshly butchered raw shrimp piece. That snappy raw shrimp was fantastic, but that’s not the end of that story, I’ll come back to that again in a bit. This platter also included some West Coast uni, which I was particularly excited to try. In general I love uni, but I wasn’t really feeling this west coast variety. Instead of light briny oceany taste I know and love from the uni I’ve eaten on the east coast, this piece had an almost metallic taste that I didn’t particularly enjoy. All in all, this platter came with some pretty incredible sashimi, but the uni was a miss for me. Now back to the shrimp! My buddy Kasper ordered the same Extra Special Sushi platter as me so we both were served those awesome fresh shrimp pieces. 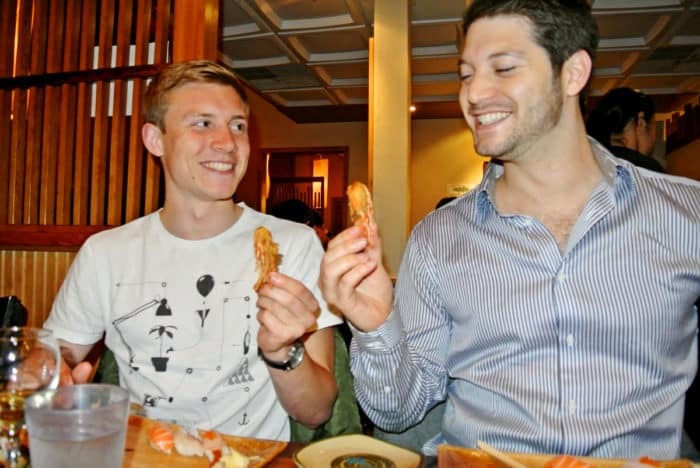 As you probably know, a live shrimp has an outer exoskeleton, head, and tail that are usually removed before consumption, but that doesn’t mean that those parts have no value. Shortly after our sushi platters had arrived, so did a little dish containing the missing half of our shrimps, the heads. They were golden brown and deep-fried in entirety. Kasper took a glance at them and gave me a look, the kind of look that probably meant ‘Dude, what are you doing to me?’ But I was able to convince him to push aside his hesitation and toast his crispy fried shrimp head with mine before we both devoured the crispy fried shrimp heads whole. They certainly were crunchy and there was a ton of flavorful juices that flowed freely from inside of those crustacean skulls. 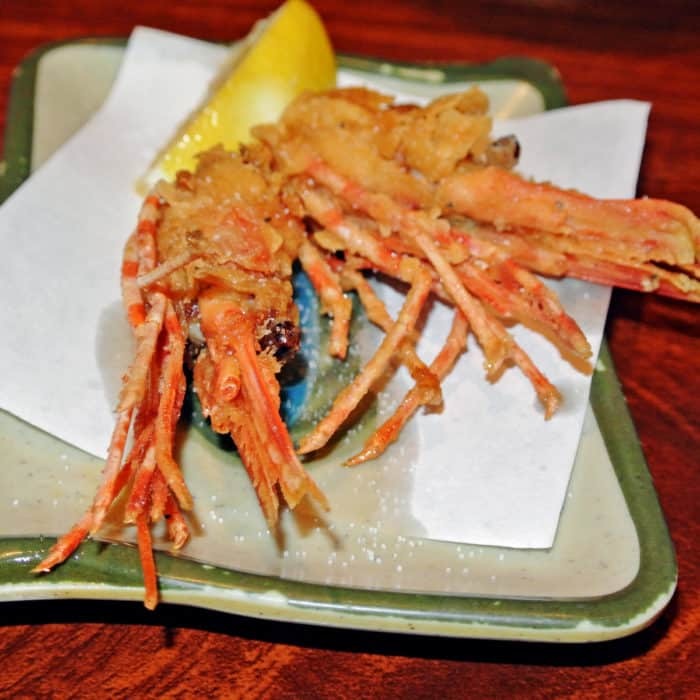 Some would say that the head is the best part of the shrimp. Normally I would agree, but that raw, fresh shrimp sushi I had just eaten a few moments earlier was so insanely good I’ve got to give that the win. 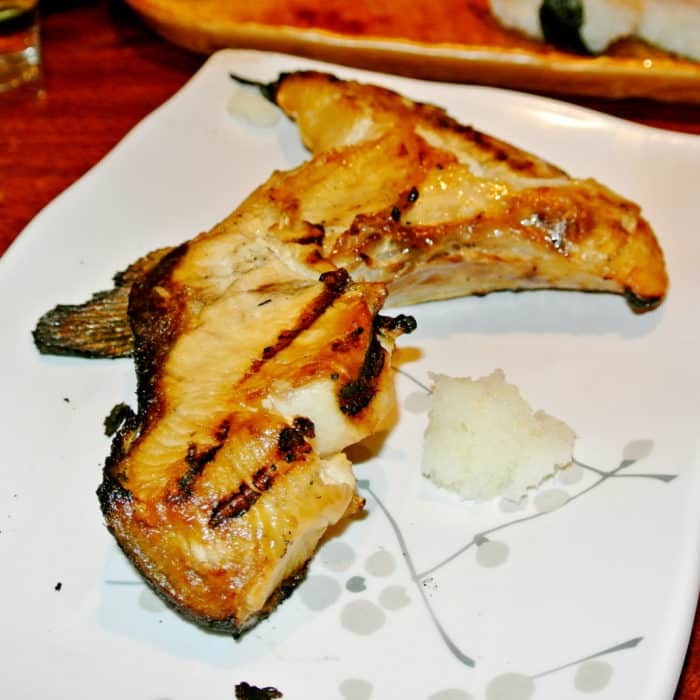 And since sashimi usually isn’t the most filling meal for hungry dudes like ourselves, we also got an order of Hamachi Kama to supplement our meals and fill our bellies. This massive portion of broiled yellowtail collar made for an excellent addition to the meal and truly did help fill our stomachs with it’s gentle, mild, tender, flaky meat and crispy skinned exterior. A wise addition indeed. In conclusion, if you want the highest quality sushi and sashimi that Silicon Valley has to offer, go to Sushi Tomi in Mountain View and order an omakase platter. Though there’s usually a line out the door to eat that incredible raw fish, it’s actually worth the wait. 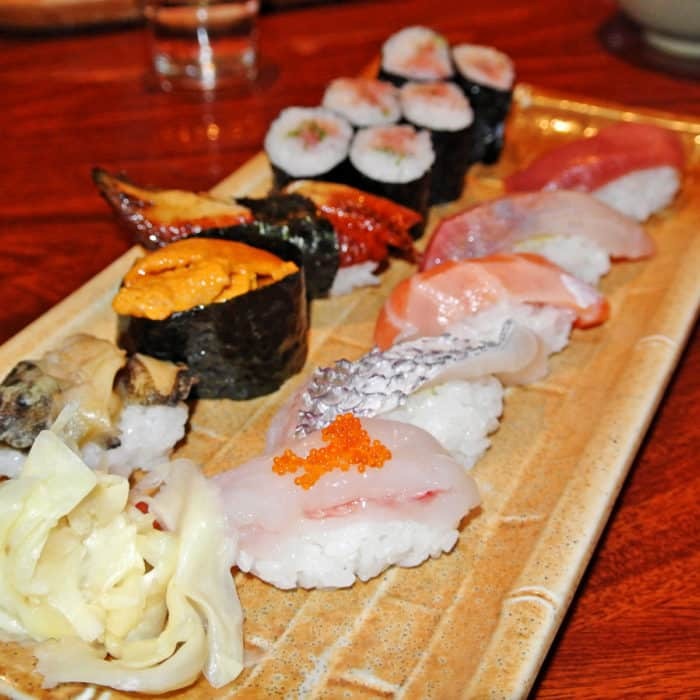 Got another great sushi spot in Silicon Valley I need to check out? Let me know in the comments below.